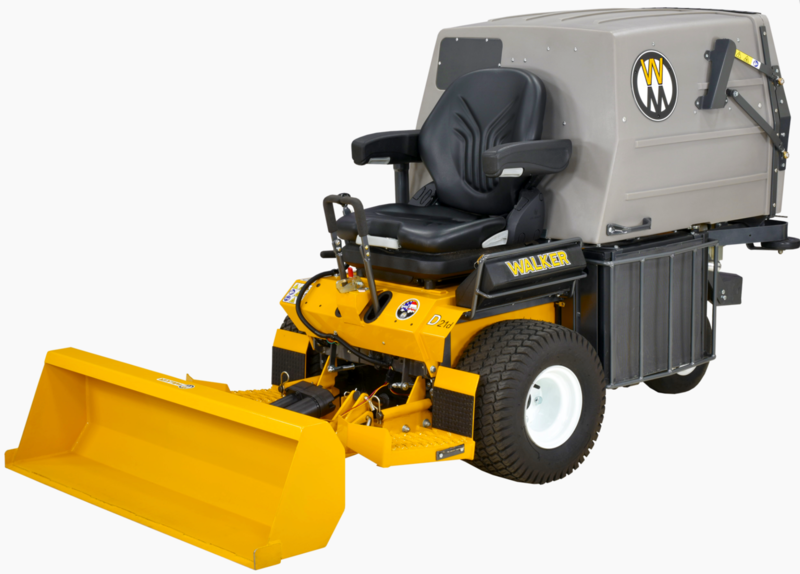 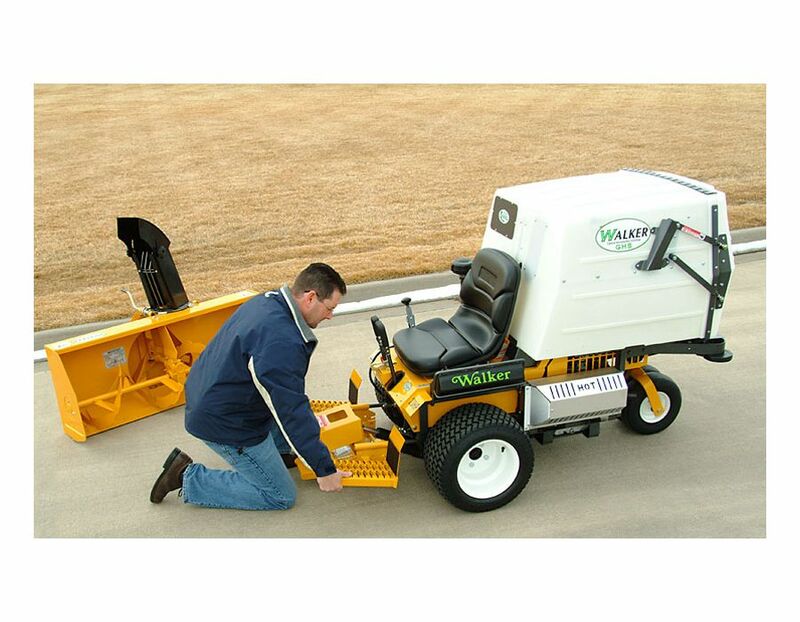 This quick-change implement hitch system by Walker Mowers replaces the mower deck and installs on the tractor in less than a minute allowing the operator to interchangeably mount five different implements. 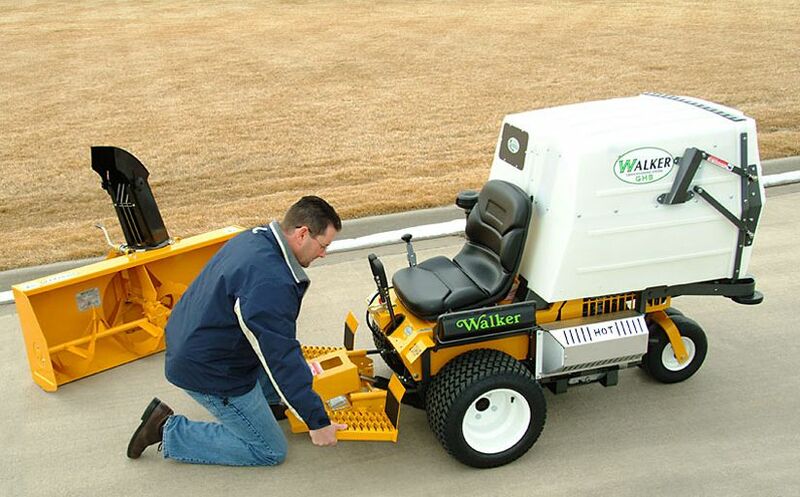 Once installed, implements then slide onto the hitch and lock in place with the flip of a lever for true "quick change" capability. 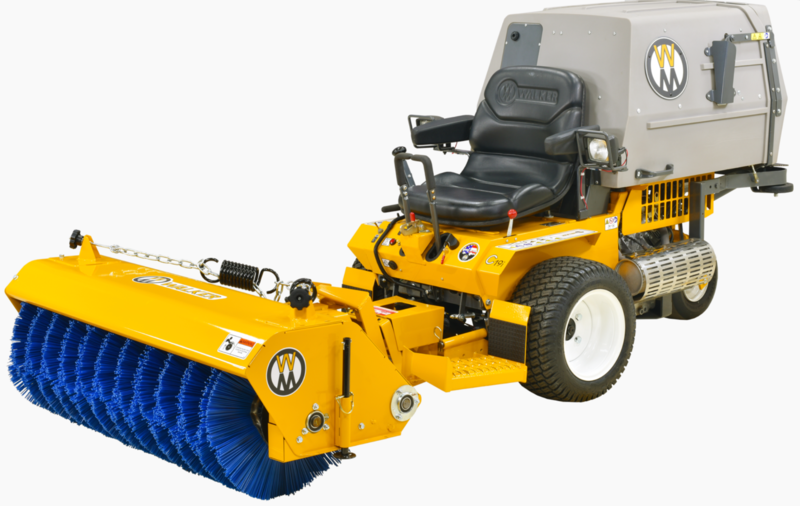 The hitch assembly also includes operator footrests and an electric power lift-just the touch of a switch raises and lowers implements. 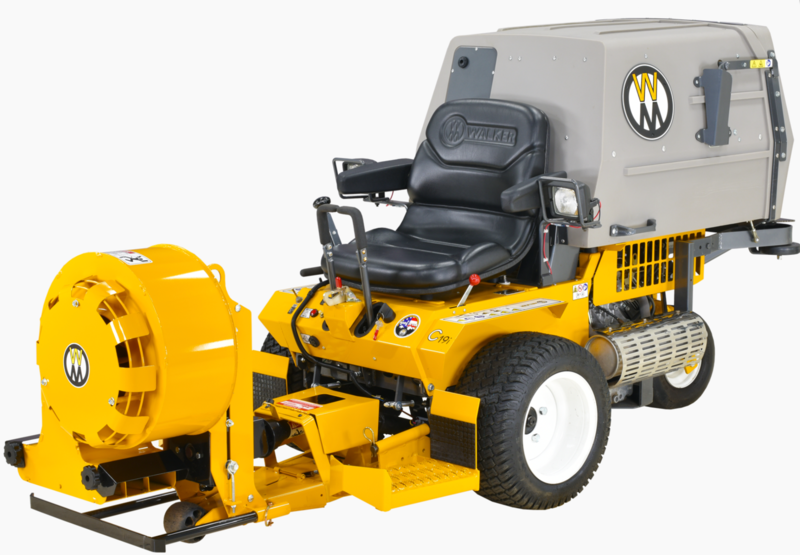 The lift control switch is quadrat mounted on the Forward Speed Control lever for convenient operation. 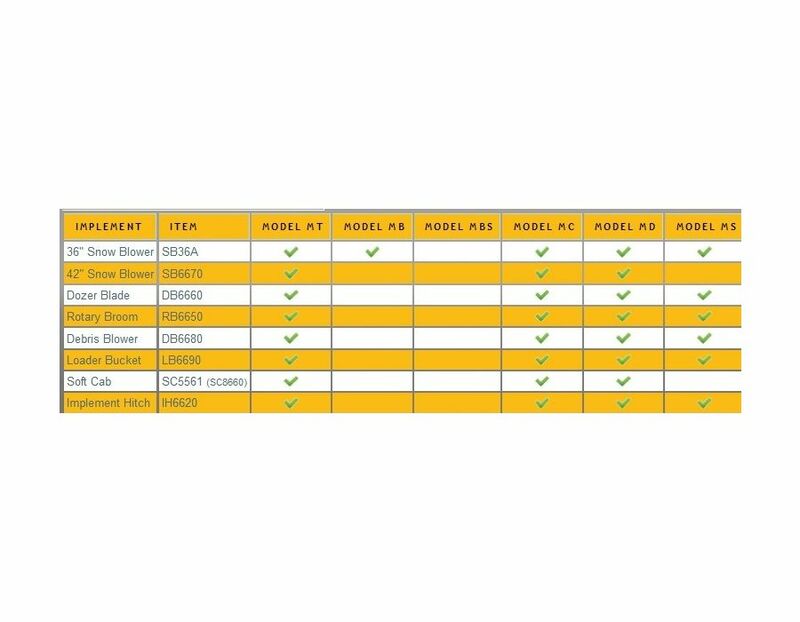 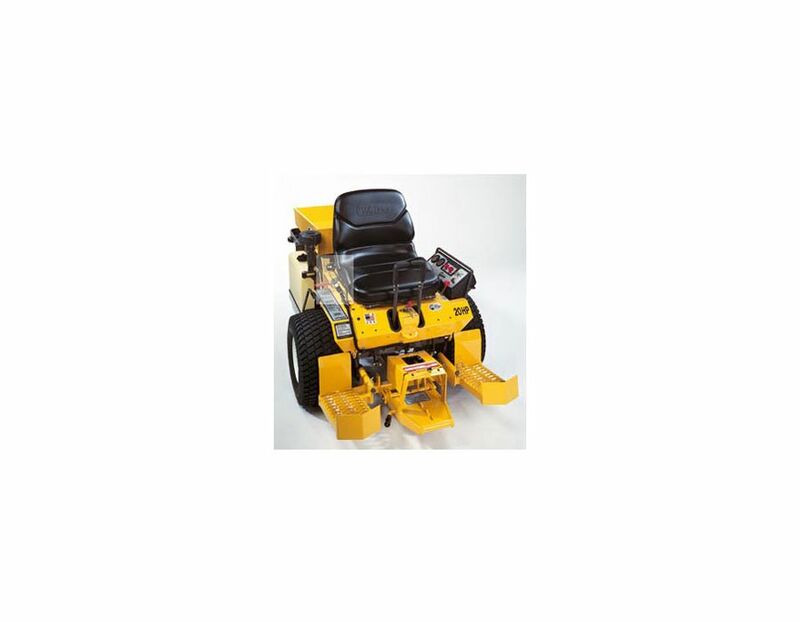 This implement hitch system is compatible with the following Walker Mowers implements; rotary broom, debris blower, loader bucket, dozer blade and 42" snowblower. 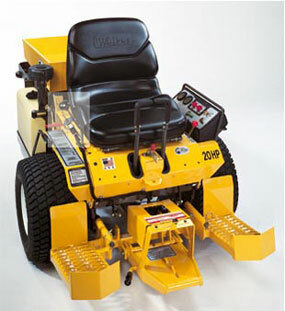 The Walker Mower Implement Hitch is available at Kooy Brothers located at 1919 Wilson Avenue, Toronto, Ontario.